Elliott, Secure With His Masculinity? Absolutely! Yes, my son is wearing a pink “Dora The Explorer” diaper. He’s quite confident in his masculinity. Also, he can’t control that the hand-me-downs he receives come from all of his girl cousins. And there’s a lot of them. 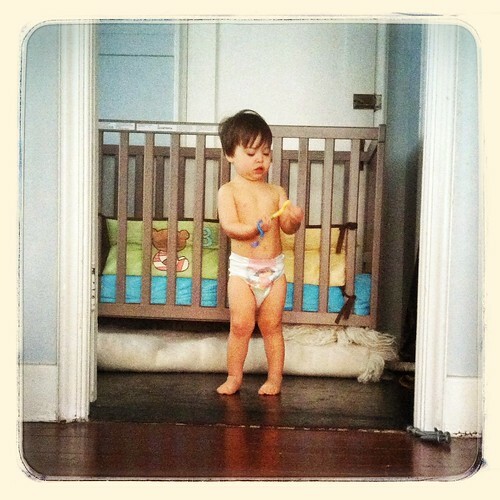 Way to strut that pink diaper, son!